WIP: Karlsro | Stitch, Brinn, Stitch! As you can see, I just have the sleeve, seam, and edging to do. It looks super wide and short there, but it need a hell of a blocking to lie right. 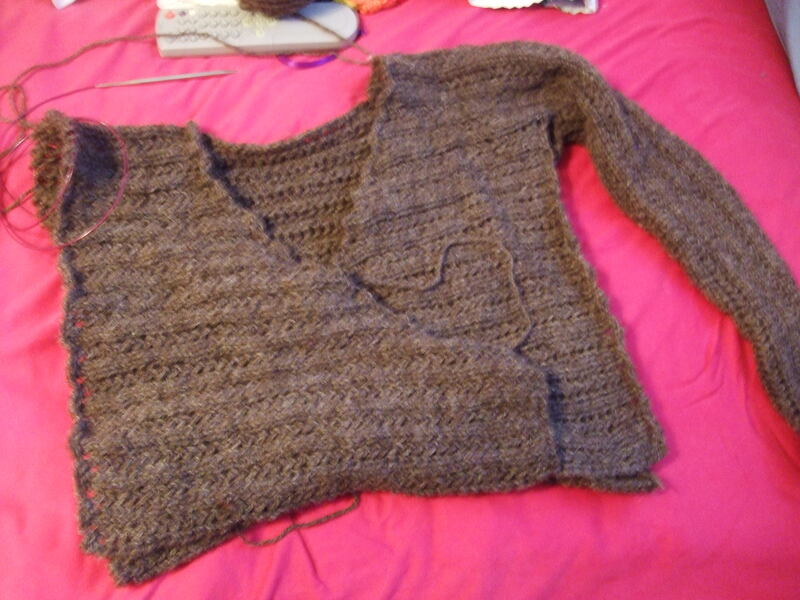 I expect to finish the knitting tomorrow sometime possibly (there’s no school so I have no volunteering to do). The large gauge should make it go fairly quickly.